Regardless of your situation, buying a home can open you up to suspicious activity especially if you opt for more affordable alternatives than what traditional real estate agents offer. To help you identify these less than ethical housing scams, we listed below 2 of the most common tactics. 1. Bait and Switch Scams. This is a scam as old as business itself, but when used in the real estate framework it can be extremely deceiving. 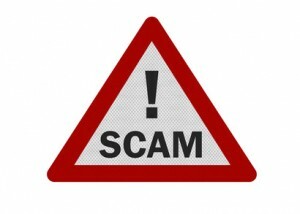 The scam works when an interested “buyer” contacts you and provides you with an estimated offer for your property. Once you verbally agree to the price point, the buyer will return within a few days with paperwork that he claims states virtually the same thing that was agreed upon. However, later it is revealed that the contract you signed bears little to no resemblance to the verbal agreement made. This can cost you both time and money to get out from under. 2. Auction scam. Normally, an individual will pose as a real estate “investor” who wants to help you sell your home fast. He will then propose that you put your home up for sale via an auction listing. However, before he even attempts to set up the auction he requires cash up front to do so. This is a scam and should be avoided at all cost.